Twenty years ago, downtown Toledo, Ohio, definitely didn’t look the way it does now. The Toledo Mud Hens AAA baseball team moved into downtown in 2002, then, slowly, the restaurants came — and the events, too; then the Millennials started moving into revitalized old warehouses that had stood vacant for decades. 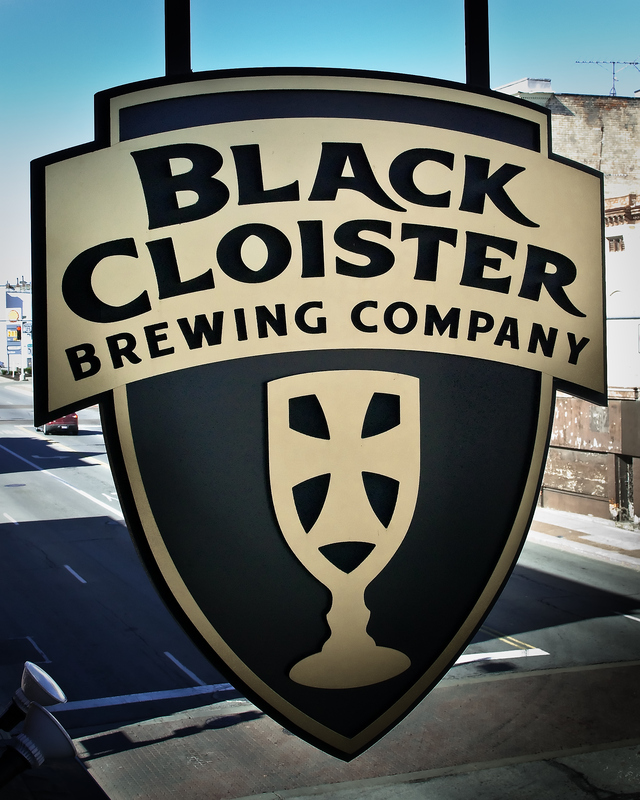 Then in early 2015, Black Cloister Brewing Company opened. Black Cloister sits on the street level of a historic building at the corner of Monroe Street and Erie Street, where the Miami-Erie Canal used to run. The building’s basement has old half doors (that are now sealed shut) that are windows back to a time when goods were delivered to the building straight off the canal. The brewhouse sits at the back of the building. Grain bags are stacked in the right corner and shiny fermenters sit in the center. Hanging on a post near the fermenters are two costume beards. 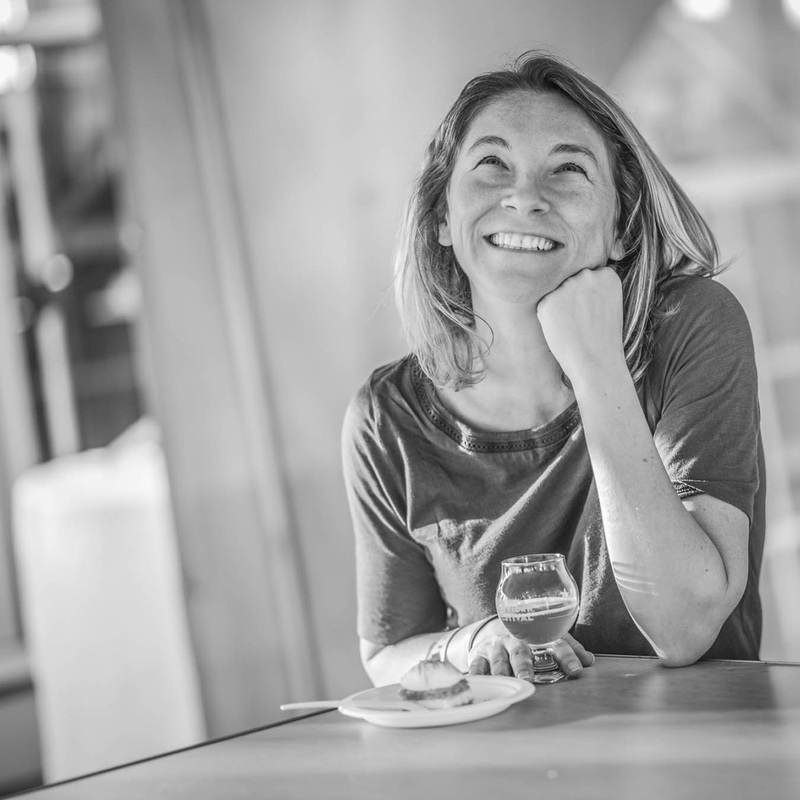 That’s because here at Black Cloister the beer is brewed by an all-female brewing staff — an accidental throwback to the thousands of years from ancient times to colonial times when women were the main brewers in families and towns. And those beards? We’ll get to those in a second. 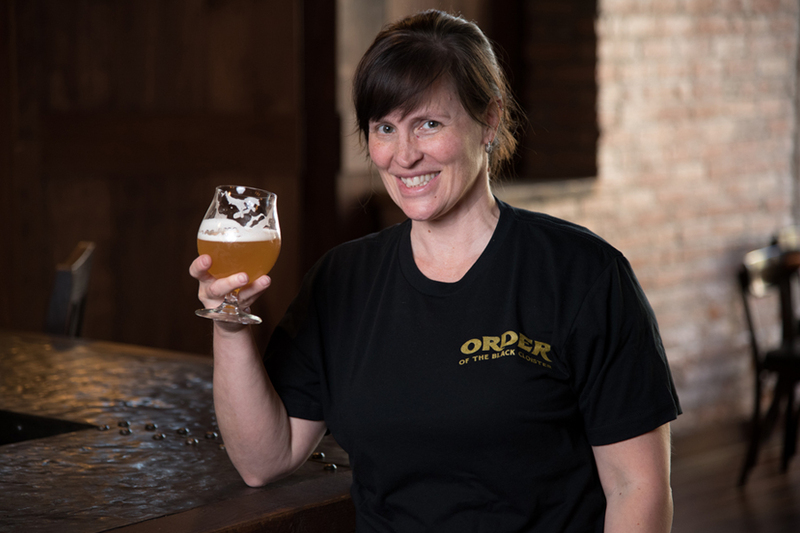 Shannon Fink, head brewer at Black Cloister, didn’t consider herself a craft beer geek before she got the job. In fact, she didn’t realize there was a beer revolution happening until a colleague at her old job starting bringing his homebrew, and homebrew books, to work to share with her. She was fascinated by the science and the idea of making her own beer. Fink took a leap of faith, transitioning from her career as a nurse to brewer about two years ago. Fink talked with me about that evolution in this edition of CraftBeer.com’s Full Pour. Q: Why did you decide to go from being a nurse to being a brewer? Fink: It was this series of events that transpired. I was homebrewing. I found this program at the American Brewers Guild. I had all the science prerequisites they wanted — physics, microbiology — because of my nursing degrees. I figured what the heck. I put the application out there, forgot about it, and then got an acceptance letter saying, “You’ve been accepted to the classes in January 2015,” which was two years out. Q: When you got the letter in 2013, how did you prepare? Fink: I knew if I wanted to do it, I’d have to have some stuff to back me up. I knew I’d have to start improving my brewing, so I started heavily competing. Then I started winning. I won something like 42 awards in one year. Q: How did you get hooked up with Black Cloister? Fink: I knew Tom Schaeffer [Black Cloister’s founder] from the homebrew club; he founded the Mashers [Toledo’s homebrew club]. I didn’t really hear anything until I saw they were advertising for an assistant brewer. I wasn’t going to apply because I didn’t have experience, but shortly after they posted the ad Tom said, “You’re applying, right?” Now I’m working in the capacity of head brewer and it’s awesome. Q: You and your assistant brewer, Mo, have had some interesting interactions with people. Tell me about that perception of women being brewers. Fink: Some guys were picking up beer for a wedding and they were running around, “Can I help you? Can I help you?” I was like, “Dude. We got this.” I don’t mind people helping, but we don’t want him to hurt himself because it’s a liability for the brewery. People don’t want to help us to help — they want to help us because we’re women. One of them starts looking around my shoulder, and then he keeps looking. Then he asks, “So, is your brewer here today?” I’m like, “Uh, hello!” It happens all the time. Q: So that’s why you keep costume beards in the brewhouse! Do you actually use them? Q: I’m sure a lot has changed in the 18 months Black Cloister has been open. Tell me about witnessing a new brewery coming into its own. Fink: It’s really been fun to watch it explode into what it is now. We’re expanding. We have two new 15 barrel fermenters. We’re getting another 15 barrel fermenter and 15 barrel brite tank. To see the expansion is really neat — and we don’t run out of beer anymore. We’re also moving into Columbus and we’re about to go into Michigan. We’re also working on our first canning run. Q: What will you be canning? For more of Fink’s Black Cloister creations, stop by the brewhouse the next time you’re in northwest Ohio.